How Long does it Take to Close on a House in Nevada? When it comes to selling, buying or closing on a home, one of the major headaches can be time. Recent US real estate statistics have highlighted that the average householder spends around four months house hunting, looking at approximately twenty properties before closing a deal. The actual time it takes to close on a house in Nevada is around four to six weeks. To get an approximation for the closing process, do some homework and shop around for a professional realtor. Ask friends, neighbors and work colleagues as well as financial advisers for positive referrals to attorneys. It’s worth remembering that financial closing costs are paid by both the buyer and seller. In some cases the seller has to pay for certain expenses while the buyer pays for others. To minimize closing expenses, a reputable real estate agent can help negotiate buying or selling costs on their clients’ behalf. However, it’s worth pointing out that some fees are set by US law and cannot be negotiated, so do bear this in mind when thinking about the ins and outs of the closing process. Unfortunately there are numerous reasons that could affect and delay the closing process of buying or selling a home. A buyer or a seller of a property cannot be absolutely sure a deal is done until the “t’s” are crossed and the “i’s” dotted. The term escrow is the 30 days between a purchase on a property being accepted and the keys handed over. During this time there may be many hurdles to overcome for both the buyer and the seller which could cause delays putting them back to square one. Here are some of the most common problems that buyers or sellers could encounter through this period and what can be done if possible to prevent them. Termite or Pest inspection – the vast majority of mortgage lenders in the US insist on having a pest inspection carried out on the property to make sure there is no serious damage. Insects, termites and carpenter ants can quickly eat through wood leaving it infested and unstable. The cost of pest inspections to the property buyer is usually around $100 or less. This will protect the lender’s interest within the property so if pests are detected, the deal could fall through. It’s also in the best interests of the buyer to have a termite inspection carried out. After all, buying a property however large or small, is a major investment. If the problems are deemed to be too severe and the seller won’t pay to remedy them, then the buyer has the option to walk away as long as the purchase agreement has the correct contingencies. Getting cold feet or the seller backs out – an established Realtor® will make sure there is a contract in place outlining justifiable reasons for the buyer or seller backing out of the deal without a penalty. This could include not waiving a contingency or not meeting a deadline. If the buyer decides after waiving the contingency that they don’t want to go through with the purchase, maybe because they have found a better property, the earnest money will be lost. This will compensate the seller for the time their home was off the market. Alternatively if the seller decides to back out because he or she has a change of heart or a better offer was made for the property, the buyer has the legal right to collect damages from the seller. Financing – real estate experts have highlighted that one of the main reasons for property deals falling through is that buyers do not get pre-approved for finance. Making an offer for a property without getting financial pre-approval can be a major mistake. It’s surprising how many buyers do not acquire a written loan commitment from a bank or a mortgage lender before submitting an offer. In the same vein, property sellers should not accept offers from potential buyers who have not been approved for finance from the relevant sources. This can lead to the closing process being at risk especially if the buyer has lied on their loans application form. If interest rates increase sharply, a buyer loses their job or their credit score goes down their property offer could be in jeopardy. A home isn’t insurable – if the seller has made a major insurance claim in the past on their property such as water damage or mold, this should show up on insurance records. Some insurance companies may refuse to insure a property if it is too much of a risk. At the end of the day, if a home is not insurable a buyer won’t be able to make an offer unless they are paying cash. Let’s face it, it’s not a good idea to buy an uninsurable home so seek the advice of an experienced realtor if any problems like this come to light. Try to meet real estate personnel out of their working environment, not all work in offices. Good realtors spend very little time at their desks. Ask realtors how many property deals they have closed in the last couple of years to get an idea of the time factor. Request to see comprehensive buying and selling property listings. This will help buyers find a home and sellers wishing to sell their property. In today’s competitive world it’s vital that a realtor has an online presence. 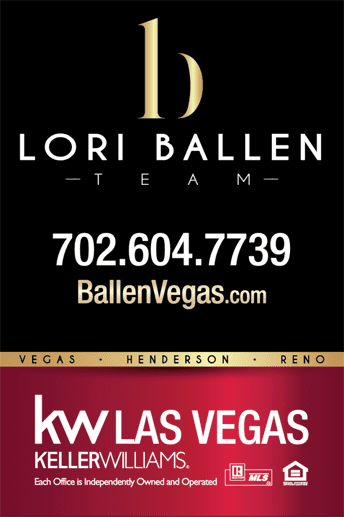 According to the latest buying and selling of Nevada real estate data, 85% of business is carried out online. Modern agents now have a wide variety of gadgets to assist buyers and sellers like laptops, mobile phones, email and text. Shop around and interview several real estate professionals. Don’t believe all you hear. Hire a realistic real estate agent to meet expectations. Be aware when a real estate agent is too busy. Generally a licensed agent can only effectively work with around half a dozen buyers and sellers at any one time. Getting continuously passed to an assistant means it’s time to move on to another agent who can give their undivided attention. Don’t be afraid to ask questions whether a buyer or a seller. A knowledgeable professional will be able to answer any questions. Local knowledge is essential when trying to find a buyer for a home or where to advertise if selling. Try to find out about their background. Do they have a comprehensive network of properties for sale and to buy? Do they work cooperatively with other agents in the area? This can lead to quick transactions for both buyers and sellers alike. The actual time it takes to close on a house in Nevada is around four to six weeks. Naturally, as part of the closing process it’s absolutely essential to find the best mortgage terms as well as an attorney who will assist with any legal issues concerning buying a home.